Hughes and Salvidge completed the site clearance and partial demolition of this commercial property on Bognor Regis seafront, after it had sustained substantial fire damage. This was the first project overseen by Project Manager Ewan James after he joined Hughes and Salvidge in October 2016. 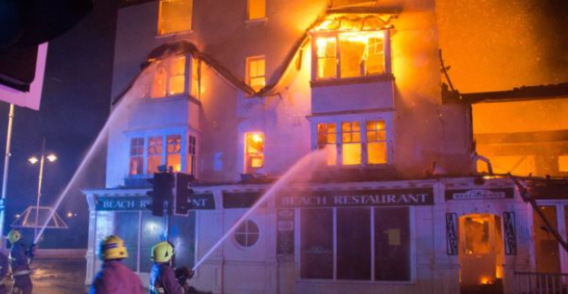 The project involved the removal of the building/site waste and demolition of the remaining structure from the former Beach Restaurant and neighbouring vacant former nightclub, both of which had suffered fire damage in a blaze. Ewan oversaw the removal of all the site waste to slab level, and the demolition of the final remaining standing part of the structure, and overcame the unexpected find of a hidden 12-foot basement, by taking measures to ensure our machines didn’t drive over the cellar. 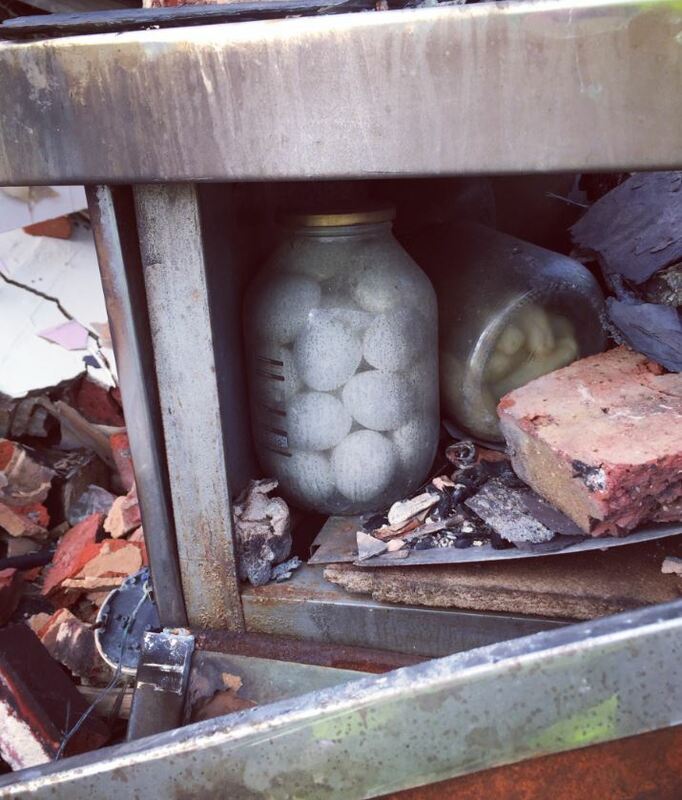 An asbestos survey couldn’t be made before we started, as the site was mainly just a pile of site waste, so when asbestos was suspected to be in the rubble as clearance commenced, Ewan ceased operations and brought in a specialist sub-contractor to remove the asbestos before we continued. The 2-week project was completed on-time and caused minimal disruption to the surrounding business and general public on the Esplanade at Bognor Regis. 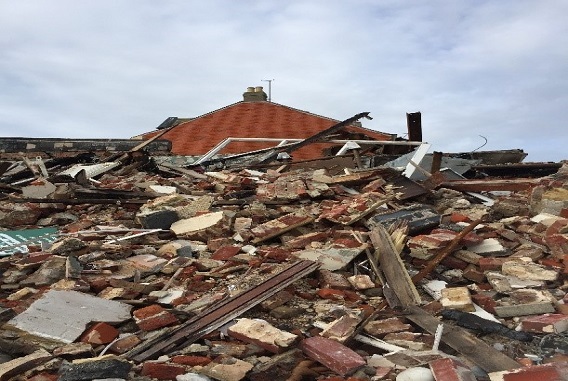 See our demolition services and contact us for a quote. For more information on demolition costs read our article.